Bordering Austria, the Czech Republic, Hungary, Poland, and Ukraine, Slovakia may not have a coastline, but there is still lots to see and do in this Schengen country. Bratislava is home to wonderful Gothic and Renaissance buildings as well as a historical center. Nitra is Slovakia’s oldest city and it’s a joy to walk around. The countryside is beautiful too with many national parks such as the High Tatras full of mountains, forests, and valleys which are perfect for hiking or winter sports. 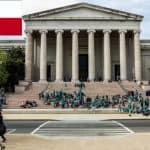 In this article learn more about how to apply for Slovakia visa at the Slovak embassy in Washington, DC, Slovakia visa appointment booking, Processing time at the Slovakia visa application center, flight itinerary for Slovakia visa, hotel bookings for Slovakia visa, Schengen travel insurance for Slovakia visa application, and Slovakia Visa Application Process at the Washington DC embassy. In 2017, there were 41,639 Schengen visa applications received worldwide. 866 were rejected. 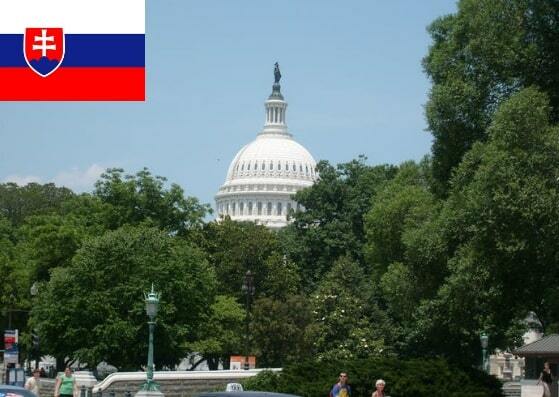 The Embassy of Slovakia in Washington received 42 applications and issued 100% of them. 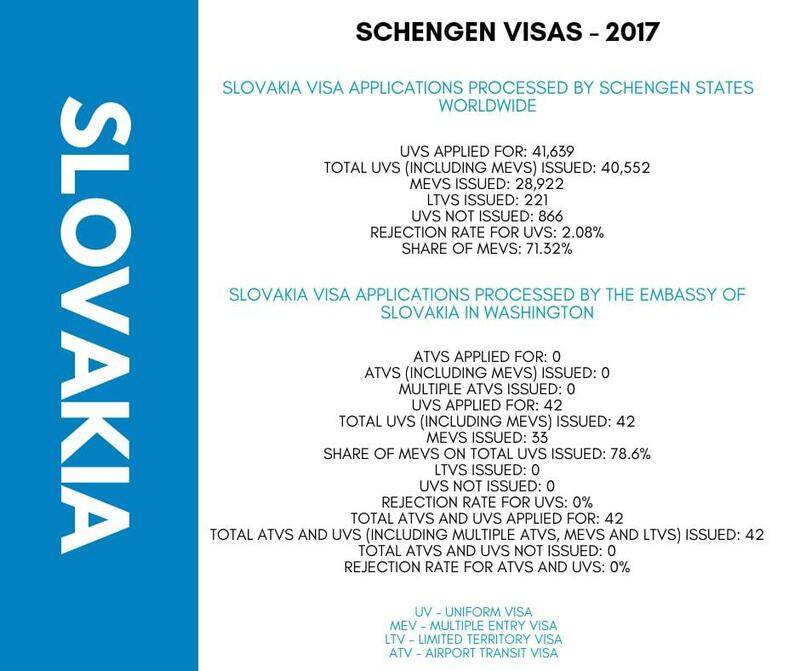 If you are a US citizen and you wish to travel to Slovakia you do NOT need a visa as long as the duration of your trip does not exceed 90 days. If you are planning on going for longer, you will need to apply for a residence permit. 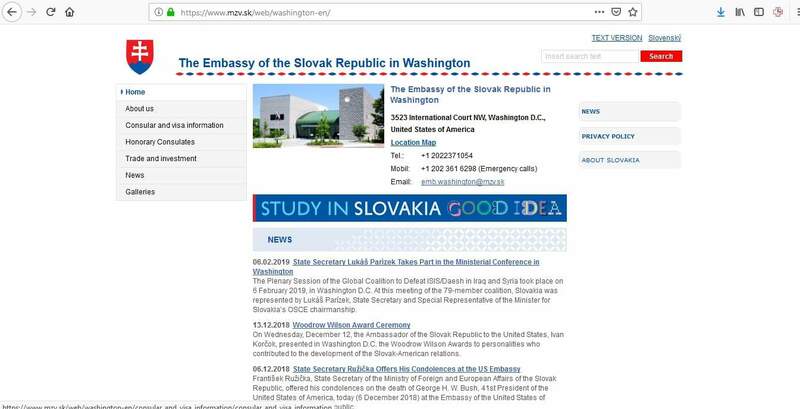 See the website of the Embassy of Slovakia in Washington for further information about how to do this. 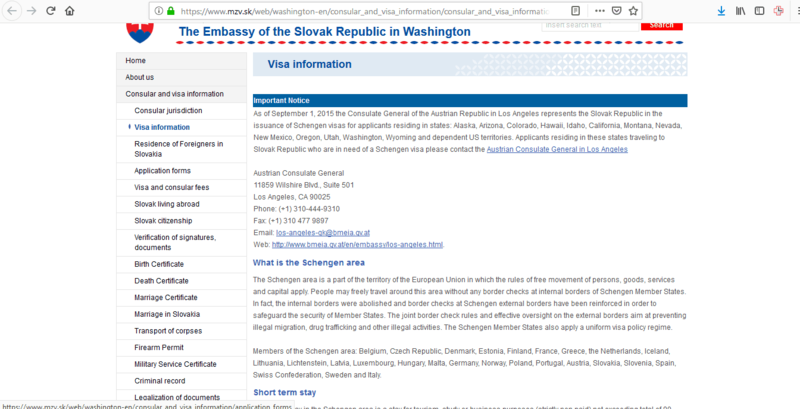 If you are a non-US citizen permanently living in the US, you DO need a visa to be able to enter Slovakia regardless of how long you are going for, but you can easily do this from the United States. 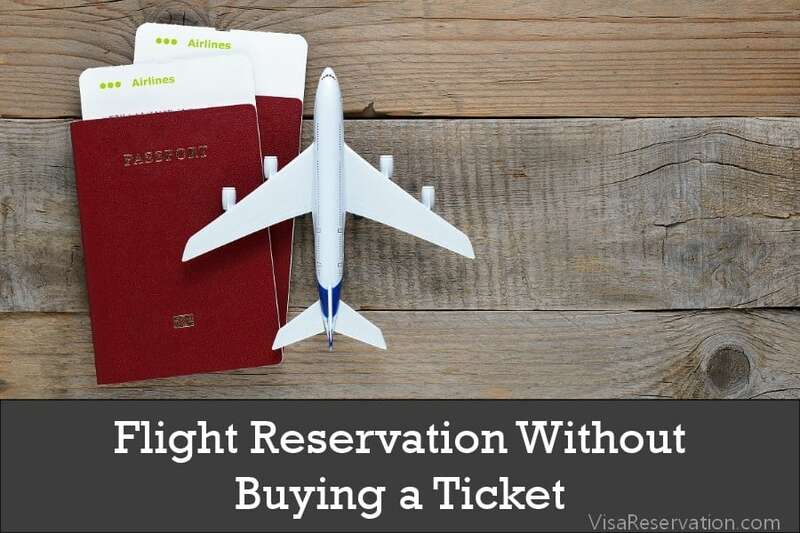 There are different types of visas you can apply for and the one you need will depend on the duration of your trip and your reason for traveling to Slovakia. 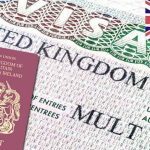 Visa applications are dealt with on a case-by-case basis which means some could take longer to process than others, but turnaround times are generally within 10-15 days. Therefore, you should apply well in advance of your trip, but you cannot apply any longer than 90 days ahead. Download and print the form for completion, but do NOT sign it until you visit the embassy for your appointment. It must be signed in front of the visa officer. You must submit all the required documents for your visa application. If you submit an incomplete file, your application will be rejected, so it’s a good idea to take a look at the embassy’s website before you begin this step. 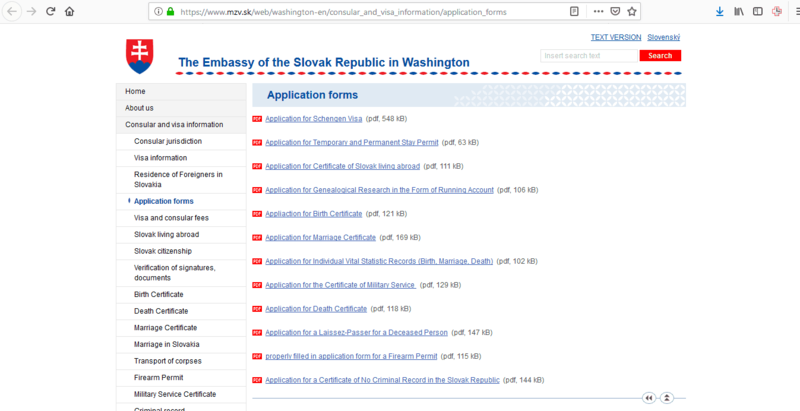 Document (s) proving the purpose of travel and stay in Slovakia such as medical treatment, study visits or special activities shorter than 90 days, etc. 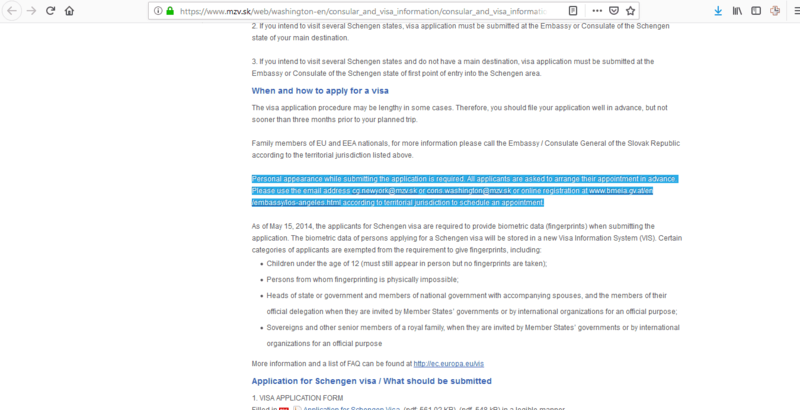 Is this your first time to the Schengen zone? How will you pay for your trip? Are you meeting anyone there? If you get asked any questions, don’t get annoyed. Simply answer them calmly, politely, and honestly. You will also pay the fee for your visa. You can pay by cash or money order payable to the Embassy of Slovakia. If this is your first time applying for a visa, you will have to provide biometric data which is a fingerprint scan and a digital photograph. 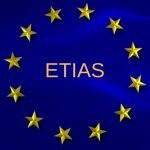 If you have applied for a visa previously, your data can be reused for up to 5 years. 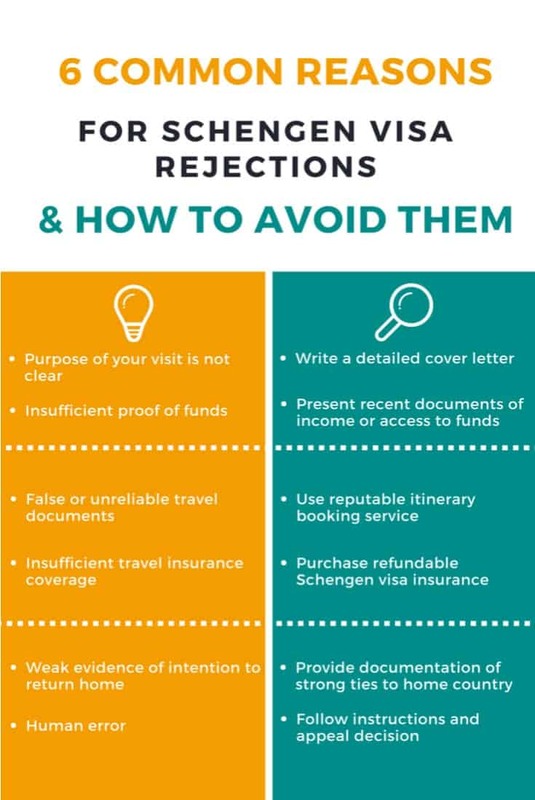 When the embassy has reached a decision, you can either collect your passport from their office or you can arrange for it to be returned to you. 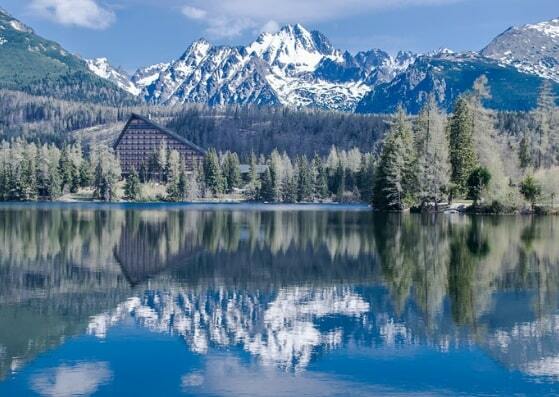 Once you have your visa, the next step is to get ready for your awesome trip to Slovakia!